Tommy Monster - Stay Tuned. It's a brand new era. So I’m working on an X-Ray Petersen story right now that’s looking like it will be about 8 pages. Aaand it’s taking a while. I’ll try to update with some Tommy joke strips when I can, but sit tight. I think this story will be fun. All the characters are essentially the same character, with the exception of a few. Just noticed you added comments for this one. I’ve wanted to say I love the strip. Keep em coming. So glad the comments are open now- I love the strip, thank you so much for doing them! I’d love to be able to do this eventually, I am going to look into it! Seconding this, it’d be awesome to have this or a larger comic like The Crew Goes Mad as a poster. Would definitely buy those. 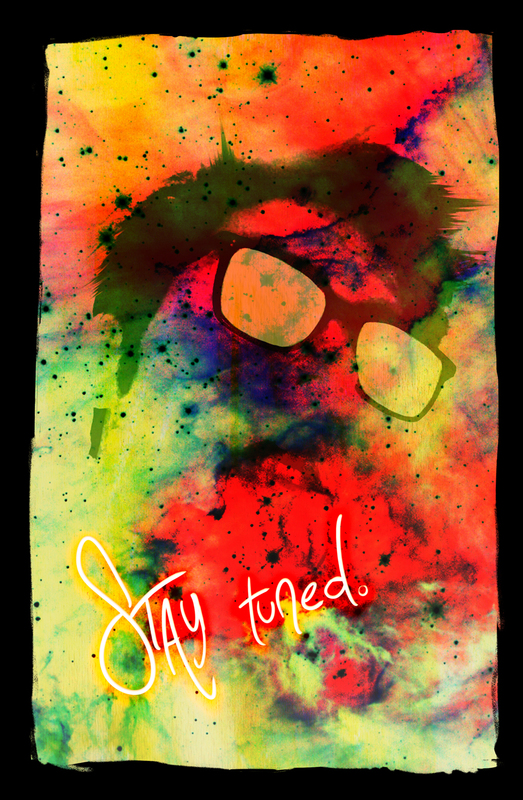 ohman, now i’m imaging having “Stay Tuned.” as a big blacklight poster on my wall… oooooooooooooohhhh! Your work is simply breathtaking, heart stopping brilliance. I love it. From the raw irony to the glimmers of truth. It sheds a shadowed light on the horrors and wonders of this world. Thank you, that’s very nice of you to say. WOW. Haven’t been here in a while. You’ve done some great work.